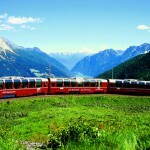 The scenic rail routes often take visitors through parts of a country’s topography that makes travel by car impractical. Here are some exciting European train journeys that explore the continent’s most famous natural hotspots. Snow-capped mountains, glaciers, and lush valleys near its southern border with Italy characterize this beautiful country. 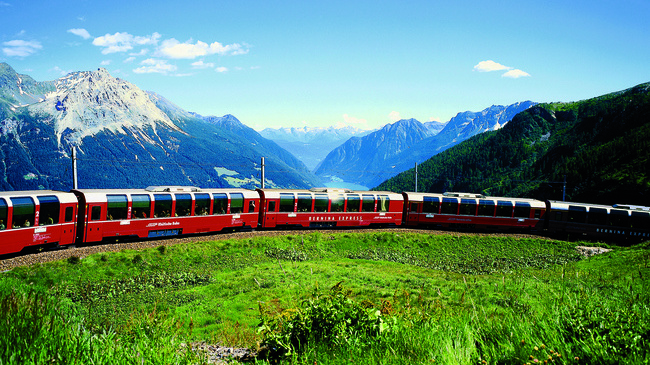 With all this to see, travel by train is the ideal mode of transportation to experience all that Switzerland has to offer. The Bernina Express offers a comfortable ride with wide, oversized windows while transporting passengers from the glacial aspects of St. Mortiz to Tirano which is right across Switzerland’s border with Italy. Another Swiss rail trip of note is the Chocolate Train route that brings visitors to the Nestle chocolate factory by way of the Swiss Riviera; not only is the journey stunning, but it also includes chocolate samples. 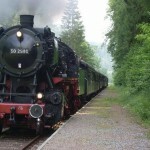 The most scenic way to see Germany’s famed Black Forest is arguably by rail. The densely wooded mountains in south western Germany has been the setting for pagan folklore, fairy tales, and history since inhabitants settled the area. 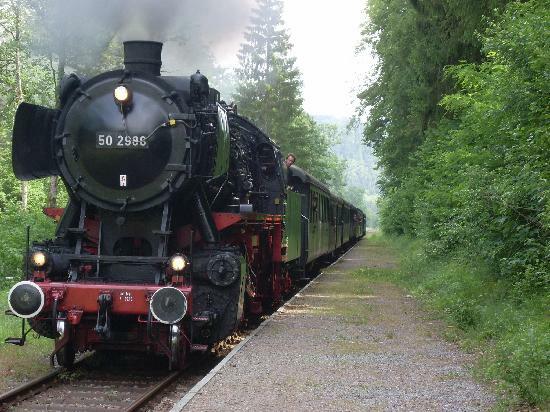 The line from Offenburg to Konstanz is the oldest and most popular rail route to pass through the mountains and view the picturesque villages that are liberally sprinkled along the path. The county of Cornwall is famous for its rugged coastlines and King Arthur inspired medieval folklore. 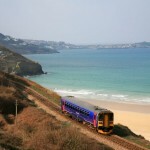 The St. Ives Bay line considered to be the most scenic railway line in all of Great Britain takes passengers past the River Hayle and meanders along the rocky cliffs of the Celtic Sea coastlines. The four mile rail line began operations in 1877 and continues to transport locals and tourists between St Erth and St Ives. Additionally, East Coast railway lines offer value priced fares to travellers visiting some of the United Kingdom’s most popular destinations like those on the London to Edinburgh route. Sophisticated London is a major railway hub in the United Kingdom, but one of its most famous routes exits Great Britain and enters the highlands of Scotland for one of the most culturally rich journeys available in the United Kingdom. Holland is known for its wooden clog shoes, windmills, and brilliantly coloured tulips. During the middle part of April, travellers on Euro Railways from Amsterdam to Groningen get so see the multi-hued tulips in full bloom. Some travellers even rent bicycles at their destination to further investigate the area’s botanical garden Hortus Haren. 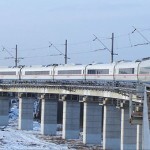 European train travel reaches new heights as travellers can now journey by rail from Paris to Moscow. This is the ultimate European journey from West to East as travellers experience the dramatically changing scenery while passing from France’s cosmopolitan capital to the centre of Russian politics and culture. The night train offers comfortable berths that allow passengers to awake refreshed and ready for sightseeing. Aspects Holidays are the holiday in St Ives specialists with over have over 300 holiday properties in Cornwall, planning a holiday to Falmouth or St Ives? Find the perfect accommodation for your holiday with Aspects.